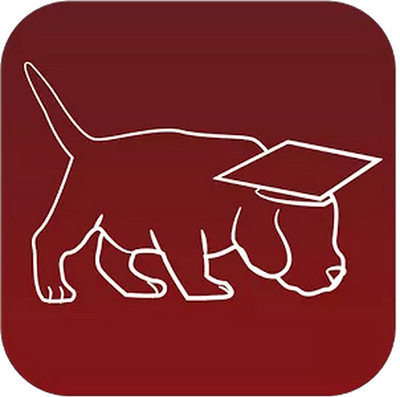 Scholly is a relatively new app for your smartphone that lets you conduct a mobile search for scholarships. It was created by CEO Christopher Gray to make finding and applying for scholarships easier, and on a device suited to the way many of the college bound are accessing the Internet. Priced at just 99 cents, it’s a snap to test it out. Working with the app is easy. Enter the eight search parameters: state, race, GPA, gender, need/merit based, grade, major, and miscellaneous, and then tap on Search. All fields need to be filled out to continue. (Note: There is a listing for None under Miscellaneous if no others apply.) No other information sharing is required. Tapping on an individual entry brings up a detail page with a description of the scholarship, eligibility requirements, the application deadline, and a button to go to the sponsoring website. You can save the scholarships you like and email the results to yourself or a friend to investigate in more depth. You can sort your results by award amount, deadline, or name. For our parameters, we got 119 results. Of those, 78 were labeled as “deadline passed.” There were also a number of familiar contests on this list, but there were some listings that were new to us too. All of the listings are said to be “hand-picked” as the real deal before they go into the database. Scholly is very easy to use and a great idea, reaching lots of people who use their phone instead of a computer to negotiate the Internet. It seems unlikely that you can actually apply for the scholarship this way and will eventually need to use a computer, but this can give you a list to start from. Scholly needs a little more tweaking, however. More than half of the results we got were past deadline—something that would seem easy to resolve. In any case, give Scholly a try. Although it doesn’t really measure up to the results you can get with one of the better scholarship websites, we think it’s got a lot of potential and may be a future big player in the scholarship search arena. This entry was posted in Scholarship Site Reviews and tagged Mobile Apps, Scholarship Search Engines, Scholly by Myrriah Lavin. Bookmark the permalink. I would be interested in this app, but are scholarships available for adults who want to go back to college to change careers? That’s a great question, John. What you’re looking for are scholarships for nontraditional students (or “nontrad” students”). You can start by searching our blog for “nontrad” and move on to search Google and scholarship search sites. Be sure to focus on the best ones which are listed in our book “Scholarship Opportunity’s Guide to the Best & Worst Scholarship Search Sites & Apps”. It’s free when you subscribe to the blog.